From hardwood flooring for your hallway or living room to laminated flooring for your kitchen, our flooring specialists aim to provide you with a flooring solution to suit your needs. Our skilled specialists are trained to provide high quality floor repairs and floor maintenance. 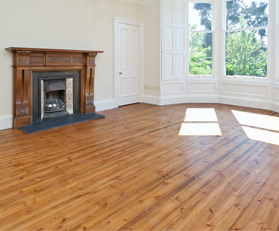 We use the latest low dust extraction floor sanding machines to rediscover and restore the beauty of wooden floors. Working closely with you, we provide restoration and maintenance services to ensure you get the right result. We pride ourselves in our attention to detail and a full guarantee on the work. We can supply and install a decking area to create an outdoor room or area to relax on a nice summer's evening. Decking areas can maximise your garden space and can be installed over a sloped area. We can also make your garden feel more secure and private with fencing. Fencing can also create a safer environment for your children or pets to play in.